Known to be "America's first grape," the muscadine is native to a large territory of America (all the way from Delaware to Texas!). There are written accounts of the muscadine from as early as the 1500s when its vines were spotted growing in what is now North Carolina. 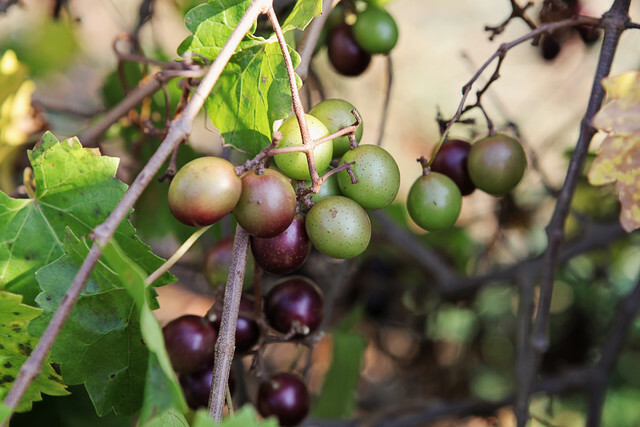 Native Americans in the Southeast were known to include muscadines in their diet. While its skin is generally too firm to consume, this large grape variety's inner pulp makes for a delicious treat. The muscadine's earthy notes balanced with its sweetness allow it to work perfectly in savory-sweet sauces. Because muscadines have such tough skins, they are disease amd insect-resistant. Another perk to this fruit? Muscadines are highly nutritious! The skin and seeds are loaded with antioxidants (including natural reservatrol and ellagic acid) and anti-inflammatory agents. In fact, muscadines far exceed the antioxidant amount found in blueberries. 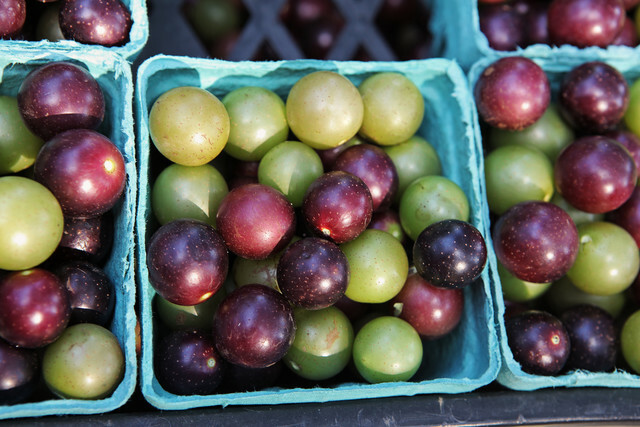 Muscadines also contain high amounts of fiber and are good sources of potassium and Vitamin C.
Muscadines do well in higher temperatures, so they are found in many Southern states. Muscadine wine comes to mind as a sweeter wine grown across the Southeast. So, what about "scuppernongs?" These are simpy a bronze muscadine variety originating in the Carolinas. We offer a couple of dishes highlighting this native Southern crop. Our Chicken with Muscadines & Mashed Potatoes provides a delicious sauce made from the fruit while Pan Seared Chicken with Green Beans, Japanese Eggplant and Muscadine Saute takes muscadines to a new level.